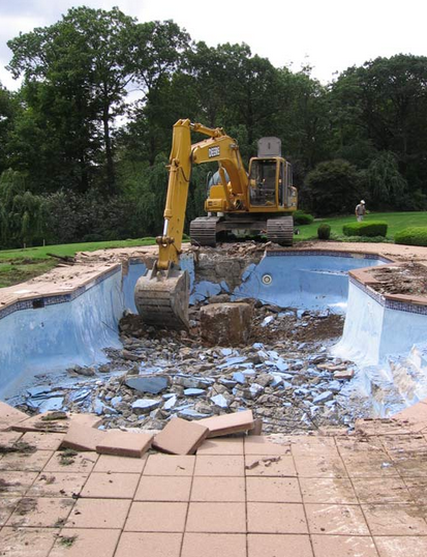 Pool demolition is one of the most common residential services we perform due to high demand in areas in between Dallas and Fort Worth like the Flower Mound area. You may want your pool removed for a variety of reasons. If you just bought a home and want to redo your backyard, look no further. For over ten years, we've been helping owners and buyers just like you with their swimming pool removal help. We have references in the Flower Mound area and look forward to earning your business. Our operators are standing by and can be reached by phone during normal business hours six days a week. We are proud to provide DFW with the best pool removal services in the state of Texas. We are with the BBB and look forward to working with you on any removal projects you might have. No job is too big or too small.